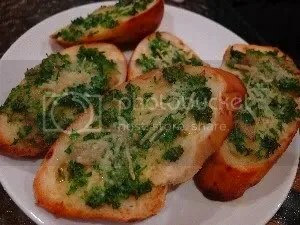 Do you love garlic bread? 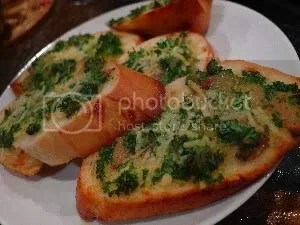 Do you often find yourself walking the aisle where the garlic bread is and cannot resist getting a loaf when you see it? Especially when it’s on sale? Or when you order pizza, you would not miss ordering garlic bread? Then you are exactly like me! (: If you love it so much, why not make it? So let’s go! 1. Preheat the oven to 160 degrees Celcius. Bake the whole bulb of garlic for 20 mins. 2. Remove the garlic from the skin and mash it with a fork. Mix the garlic, parsely, melted butter, salt and parmesan in a bowl until well combined. 2. Spread it on the bread and bake for 10-15mins. ps : I’m very sure you will. yes! (: and you should! it’s quick and really delicious!